Lately the Nexus 9 has been a bit of a black sheep for Google, since they haven’t offered the Android 5.1 update for it, let alone the brand new Android 5.1.1. The Nexus 6 didn’t exactly spark a lot of interest, although it’s a pretty solid phone, but also a very big one. 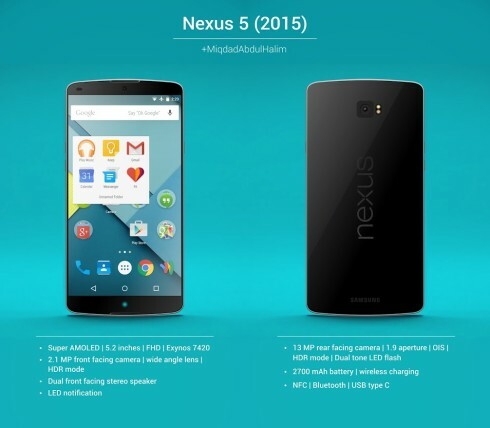 People need a new “inbetweener” and that may just be the Nexus 5 2015. Envisioned by Miqdad Abdul Halim, this model is a Samsung-made Nexus 5, with very narrow bezels and a design format that seems to combine the Nexus 4 and Nexus 6, in my view. Upfront we’ve got a 5.2 inch Super AMOLED display, with a Full HD resolution and inside we get the ultra powerful Exynos 7420 processor. Other specs include a 2.1 MP front camera with wide angle lens, dual front facing stereo speakers and a notification LED below the screen. At the back there’s the main 13 megapixel camera with F/1.9 aperture, OIS, HDR mode, dual tone flash and a 2700 mAh battery. Wireless charging, USB Type C and what seems to be a fancy and solid metal frame are also here. 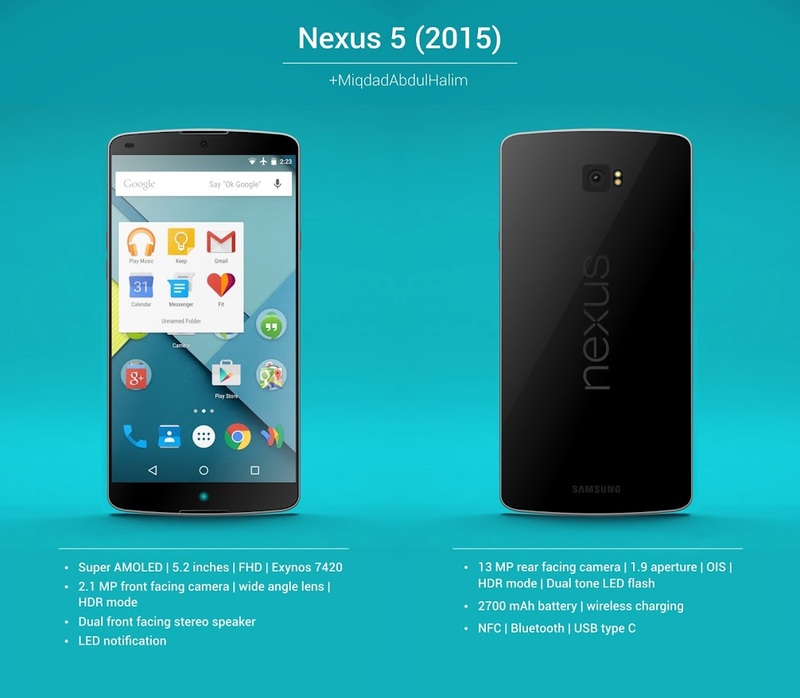 Would this be the “Marshmallow Android” Nexus?